ROAD TOWN, Tortola, VI – “Is it ninth day on this whole talk about preferred bidder CCCC (China Communications Construction Company). 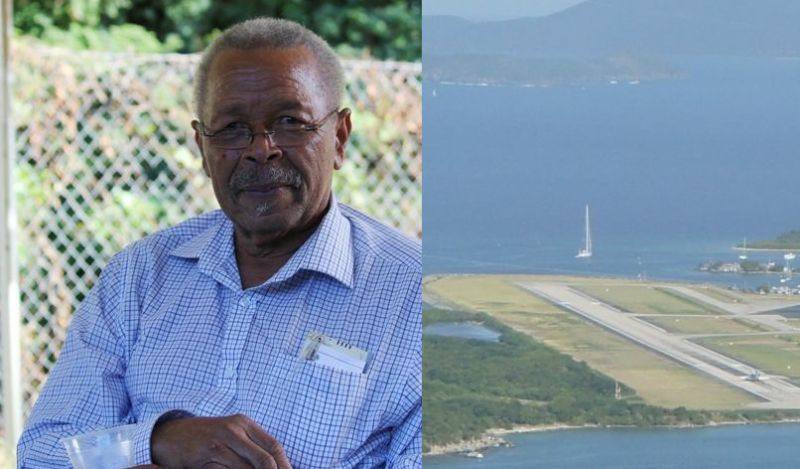 Suddenly we are not hearing anything from this government about this whole airport expansion project.” This is according to radio talk show host Edmund G. Maduro. There have been lots of criticisms after Cabinet voted on CCCC as the preferred bidder for the airport contract instead of IDL/McAlpine Consortium, a story first and accurately reported by this news site on December 22, 2016 that the Chinese company was the preferred bidder. The bid advanced by CCCC was $153,432,572.10 and IDL-McAlpine $198,910,525.00. Maduro reiterated that he is not in support of the expansion of the runway at the Terrance B. Lettsome International Airport because, in his informed opinion, expanding that runway is a death trap in the making. Mr Maduro called on all residents and Members of the Opposition to insist that Premier Smith say what is going on with the discussion or negotiations with CCCC as the three month deadline set by Premier Smith himself has long expired. Where is the freedom of information act? Just look in the picture of the sail boat at the end of the runway. So government is going to destroy the hand that has put the BVI on the map by extending the runway and cutting off part of the "sailing capitol of the world" ? What in the name of sense are they thinking?